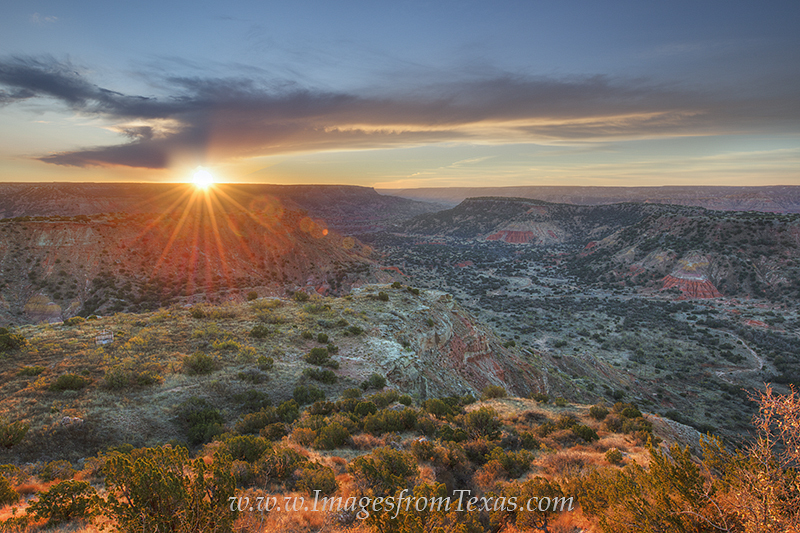 On the last morning of my most recent trip to Palo Duro Canyon in the Texas Panhandle, the sunrise put on a show for all who were there. Because I had a long drive in front of me on this day, I only had time to capture the sunrise, then be on my way. This vew came from the Visitor Center Overlook just inside the park. I had to obtain special permission from the park rangers to enter the gates before the usual 8:00am opening, and for that I was appreciative. This view was my reward. Canâ€™t wait to get back here and explore some more! Photo © copyright by Rob Greebon.